"His recovery has been nothing short of a miracle." 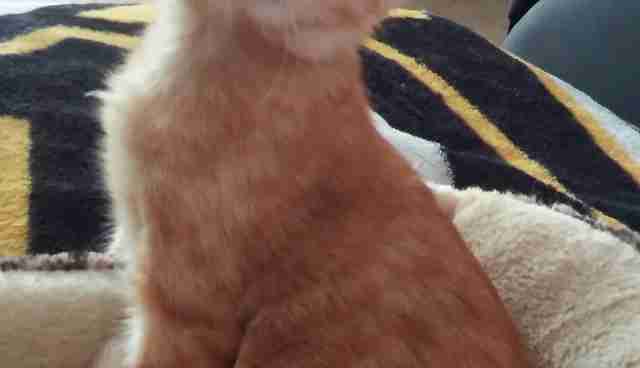 A tiny orange kitten who was found lying on the side of a road with a broken spine is finally running and jumping and acting like a kitten again. 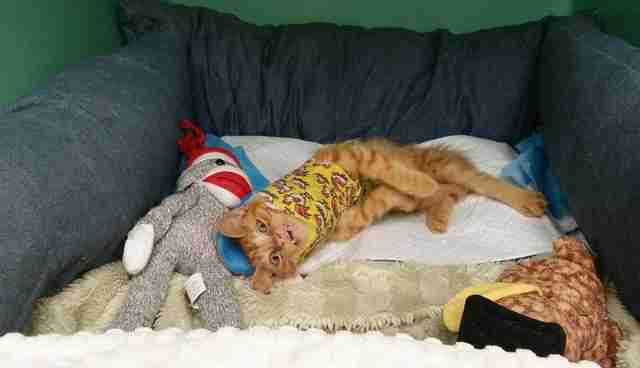 Determined to save his life, a good Samaritan brought the paralyzed kitten to Caring Fields Felines, a sanctuary and rescue organization in Palm City, Florida. "Knowing what we do, this person reached out to us," Pauline Glover, executive director of Caring Fields, told The Dodo at the time. 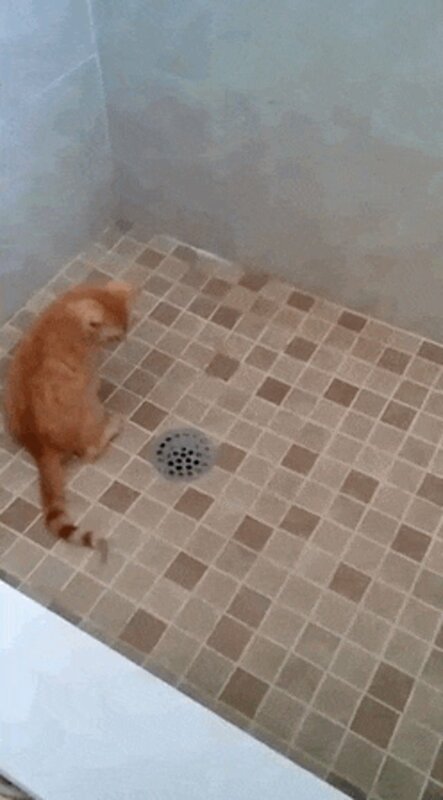 "I just couldn't say no." 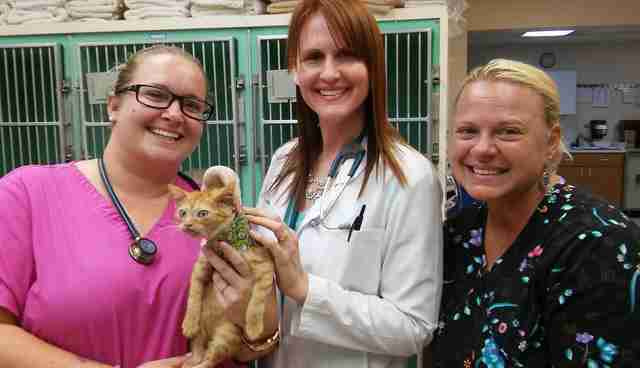 Because of the extent of Davey's injuries, Glover brought him to Savanna Animal Hospital in Jensen Beach, where he met Danica Gingras, a veterinary technician who fell in love with the little kitten. 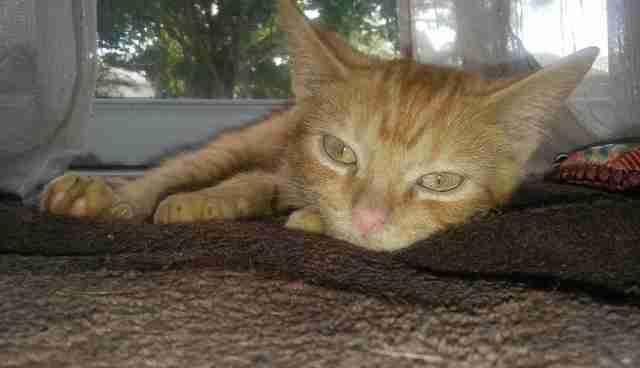 Gingras fostered Davey at home, providing round-the-clock care so that he could have a chance to survive. 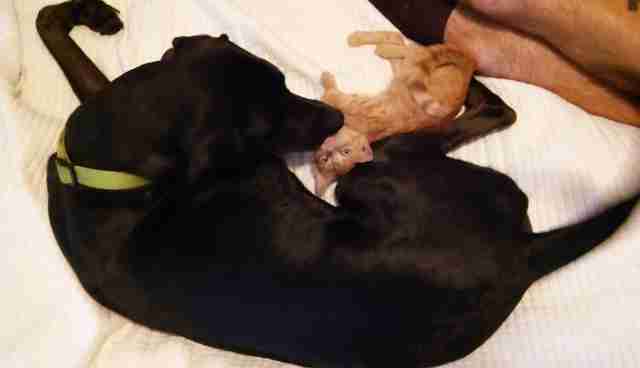 Davey even met and bonded with Oakley, the Gingras' family dog, who became very protective of his little injured kitten. "He traveled to and from home and work everyday with me during this whole time," Gingras told The Dodo. 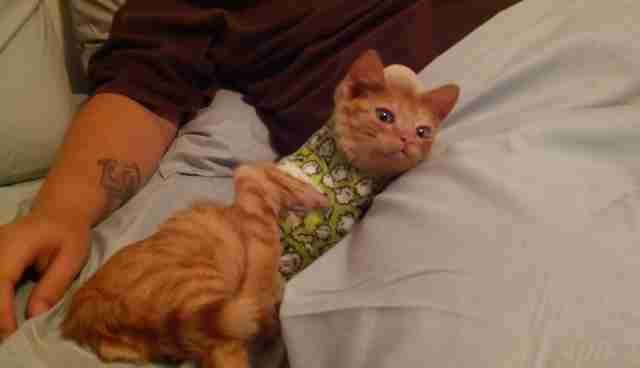 After having his cast removed he was up and walking in a few days." Now, a month after his cast was removed, and after a lot of physical therapy, Davey is "running around the house like crazy," Gingras said. 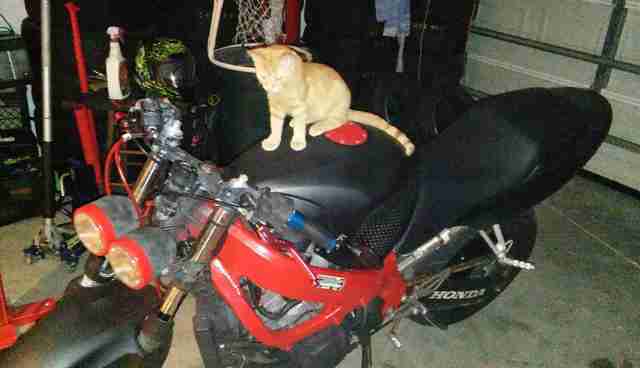 "He has a lot of kitten time to catch up on," Gingras said. As if things couldn't get any better, Davey's foster home turned just transformed into a forever home, when the Gingras family realized they just couldn't let him go. "I am very happy to say we have adopted Davey with the new name of Beans," Gingras said. 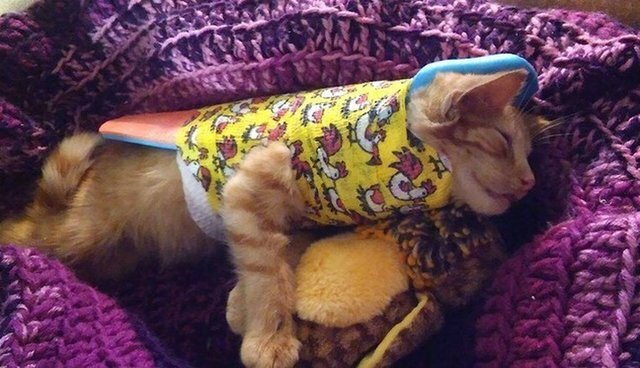 "My stepdaughter named him Beans because while in his cast she thought he looked like a bean burrito." Click here to learn how you can help cats rescued by Caring Fields Felines.